Blends of pink and orange are typical natural morganite colours. This stone displays stronger colours at the ends of its oval shape. Morganite’s subtle colour is caused by traces of manganese. Because morganite has distinct pleochroism - pale pink and a deeper bluish pink - it’s necessary to orientate the rough carefully for fashioning. Strong colour in morganite is rare, and gems usually have to be large to achieve the finest colour. 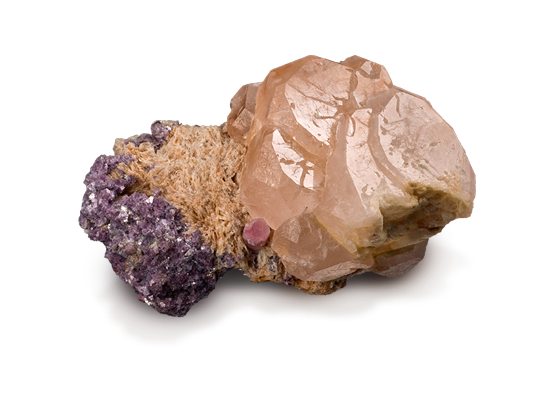 Untreated morganite often has a strong orange colour component, creating a salmon colour. Morganite can be pink, purplish pink, or orangey pink; often light in tone. 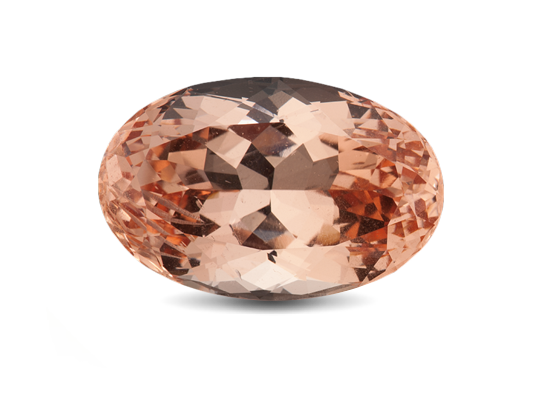 Faceted morganite, in light and stronger colours, usually has no eye-visible inclusions. Light-coloured crystals might be cut a little deep to intensify the colour.